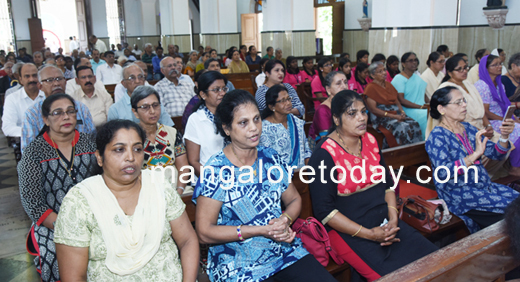 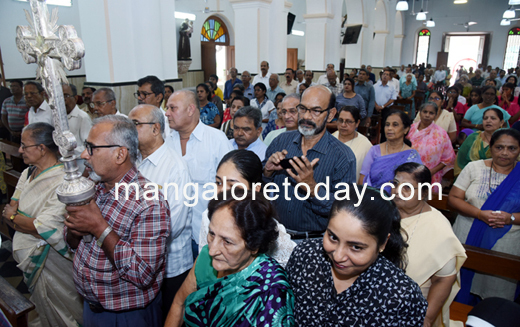 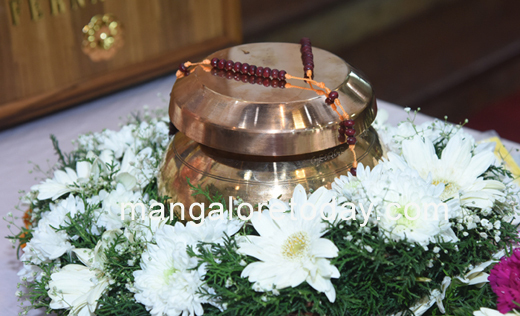 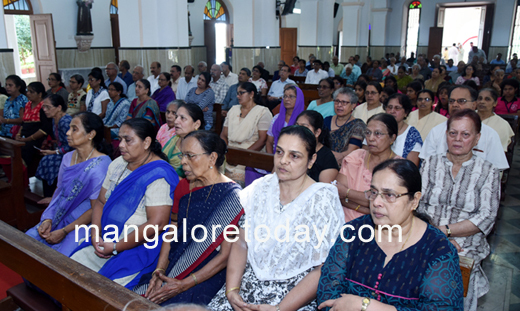 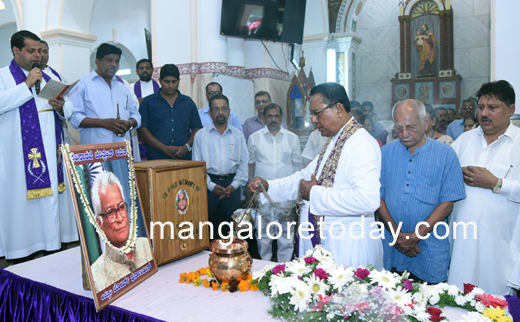 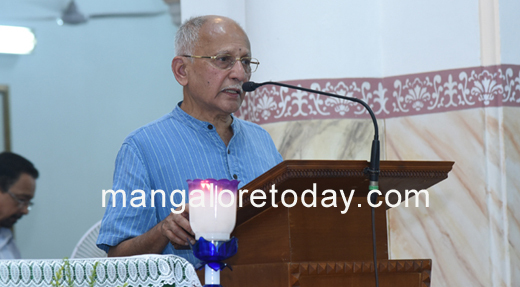 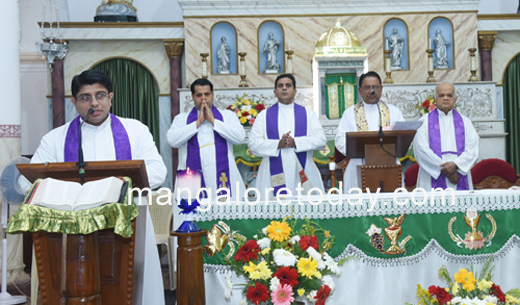 Mangaluru, Feb. 02, 2019: Former Defense Minister and Mangalorean legend George Fernandes laid to rest in his own Parish, St. Francis Xavior Church Cemetery at Bejai, Mangaluru on Saturday, February 02, 2019. 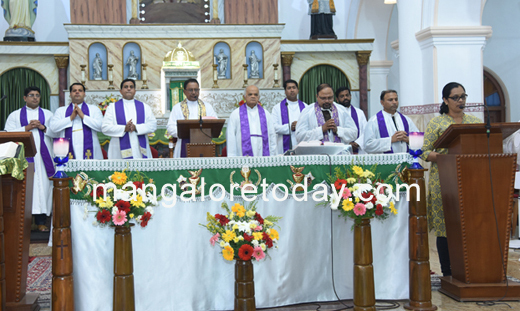 Rev Fr Wilson Vitus D’Souza, parish priest and six other priests conducted Requiem Mass and the funeral service. 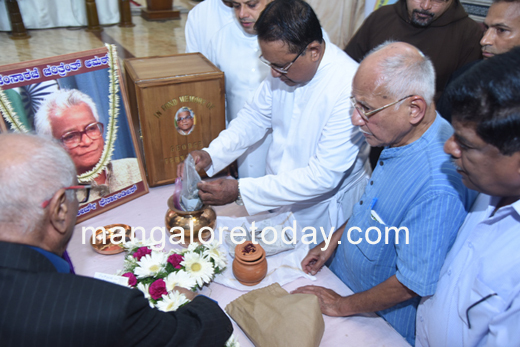 George Fernandes’s brother and labour union leader Michael Fernandes had brought the Ashes of the cremated body of George Fernandes from New Delhi for the purpose. 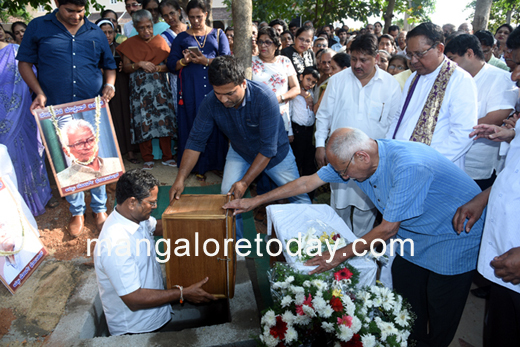 The mortal remains of George Fernandes was cremated with state honour on Thursday, January 31, 2019. 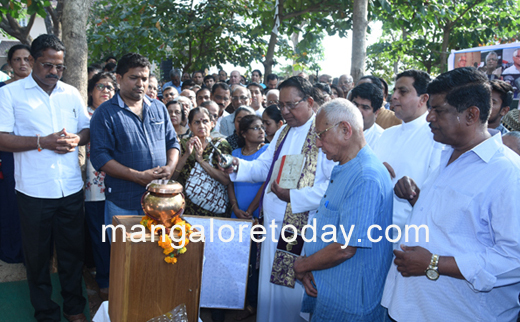 “It was George’s wish that his ashes be buried in our Parish Cemetery” said Michel Fernandes. 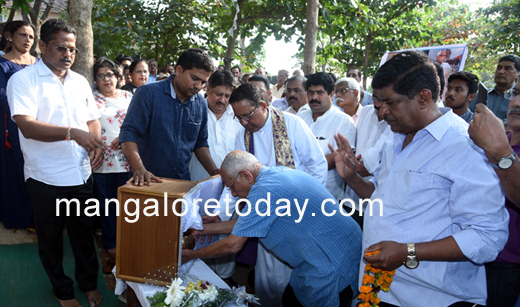 A large number of friends, admirers, family members and political leaders attended the funeral service. 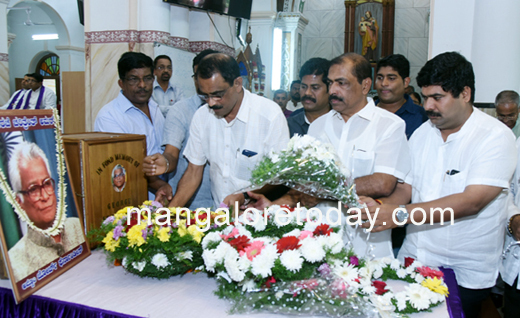 Mangaluru Mayor, Bhasker Moily, Mangaluru MLA, Vedavyas Kamath, former MLA and Karnataka Speaker, Yogesh Bhat, former MLC, Capt. 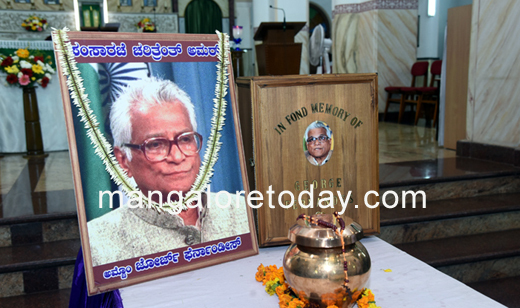 Karnik and leaders from many social forums attended the funeral.